The University of Texas Southwestern Medical Center invites applications and nominations for the position of Director of the Cecil H. and Ida Green Comprehensive Center for Molecular, Computational, and Systems Biology. The Center is a vibrant, interdisciplinary unit focused on understanding the organization, regulation, functions and evolution of complex multi-component systems. Current primary faculty in the Center use a combination of experiment, computation and theory to address diverse problems, including the evolution of proteins, molecular circuits and cells; pathways of antibiotic resistance in bacteria; mechanical forces in tissue remodeling; and the energetics and dynamics of non-equilibrium systems. The Center is housed in newly renovated space, and has opportunities for substantial growth through new faculty hiring. It is supported by a significant endowment, which has enabled innovative initiatives including a visiting scholars program and interdisciplinary pre- and post-doctoral fellowships. Center scientists collaborate broadly, and the unit is closely allied with the Departments of Biophysics, Pharmacology, Cell Biology, and Bioinformatics. The successful candidate will have an international reputation in experimental and/or computational systems biology, broadly defined, exceptional leadership and administrative skills and a compelling vision for the Center's future. 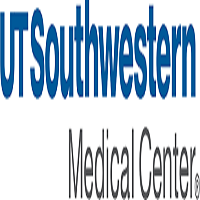 This position represents a unique opportunity to lead a creative, cohesive and energetic group of investigators, chart new directions for future growth, and join UT Southwestern at an unprecedented time of expansion in research capabilities and infrastructure.